I'm after two single BRS style reactors for carbon gfo etc. these are basically a water filter cartridge with internal cartridge thing. Now BRS won't post to Oz and apparently not shipping forward addresses either, in fact when quizzed they acted like I was trying to bring down the entire North American aquarium supplies industry! Option 2 somewhere / something called Aquos have the same product - God knows what is going on here....I can not tell if this is a bulk supplier or what and they change their name often than we change PM's. Surely this is not a complicated device? 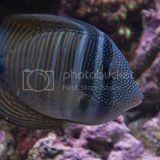 I'm looking for a website listing or LFS supplier. No friends in the US? Use a mail forwarding service? Deer Park aquarium in Melbourne sell the same thing. Do you know if Deer Park do mail order or online sales? PS BRS apparently will not dispatch to Shipping Forwarders......not sure if this is true but I'm reluctant to go down the path if it is. Found a Sydney supplier - water filter company for two $340. American price $126 - hello Australia! Deer Park don't do online sales and I'm fairly sure they don't like postal orders either, but don't take my word for it as I am not affiliated with them at all. I'm fairly sure he sells the kits for $50-$60 each (you'd want two to match the BRS setup). If he doesn't do mail order, send me a PM and I'll grab a couple and post to you. That's them - I like the fancy clear tubing that feeds them (what is that...is that part of the kit) - nice. I'll chase them up and see if they are willing to post. Failing that, ill probably be chasing you up. that's just 6mm or 1/4 inch clear acrylic tube. Is easy to bend into shape with a little heat. Dave also sells this (although you could probably get at your local plastic shop). See how you go, if you need me to buy and post - I'd be happy to. HI James, can you post a link the canister filters you brought or let me know the exact description as i cant find anything on PSI web site. Jutscher wrote: Is this what you are after?